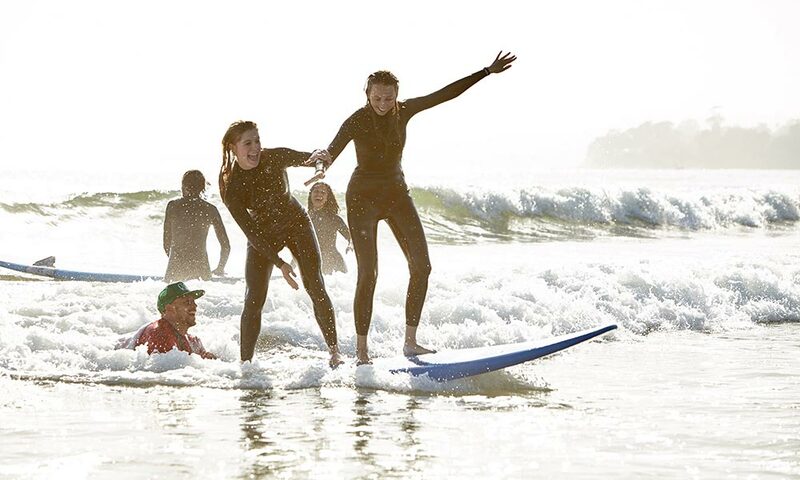 Learn to Surf in Just 2 hours! 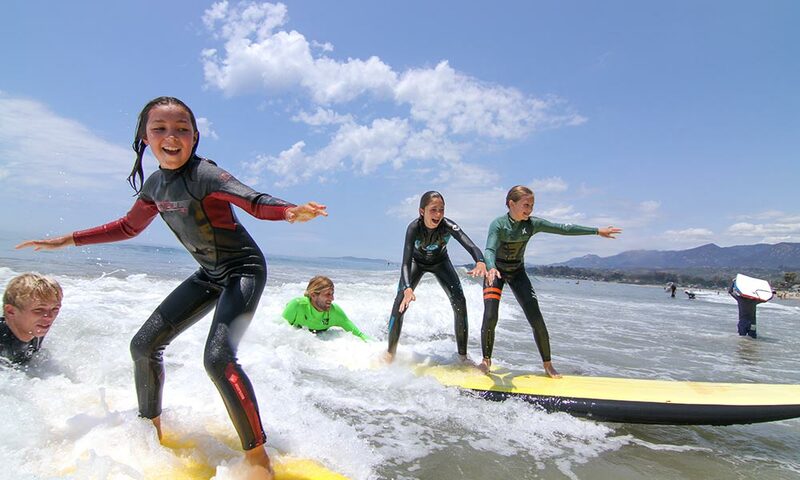 Surf Happens Premier Surf School specializes in fun and friendship, and when you partner with us, you are providing an experience that will bring your group together and give each person a sense of joy and achievement. If you have just a handful of participants or hundreds, we’ll work with you to customize a one-day event or a multi-day program around your schedule, budget and group size. 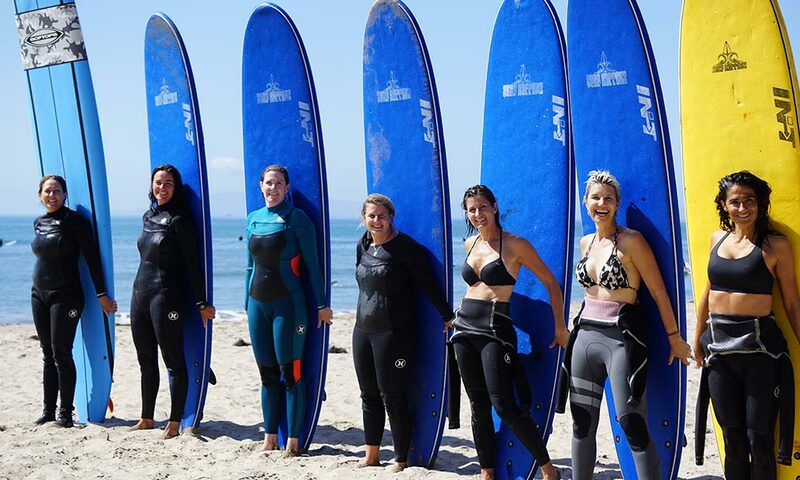 Whether you want to give your group a surfing boot camp, a carefree day at the beach, or something in-between, choose Surf Happens as your guide and get free! 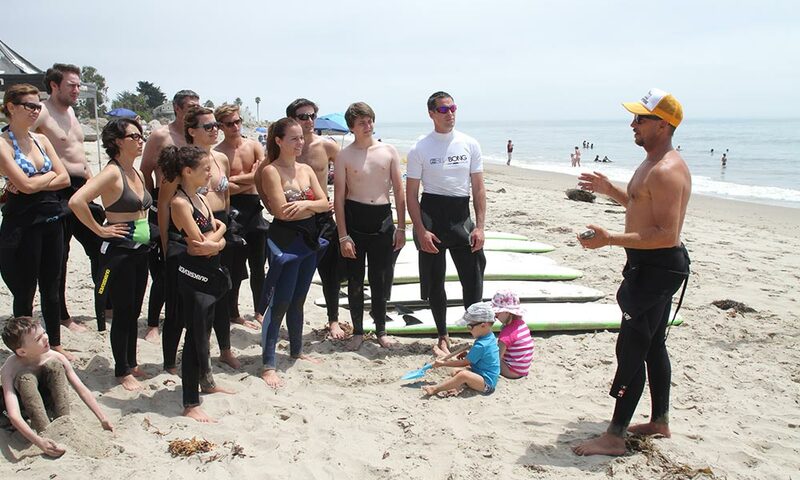 For more than twenty years, Surf Happens Premier Surf School has been the leader in surf coaching, classes, camps, and community events. Check out our website! 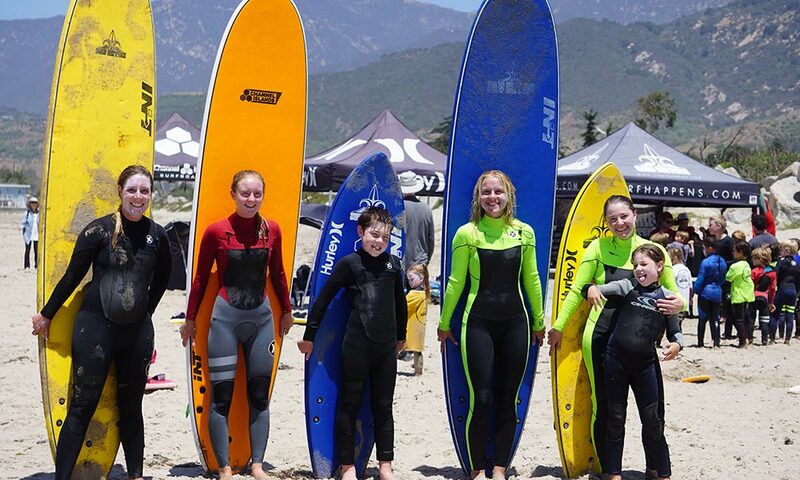 Our clients are all ages and all skill levels, from those venturing into the ocean for the first time to World Surf League competitors. We also produce the annual Rincon Classic, one of the largest and most-respected surf contests on the West Coast. 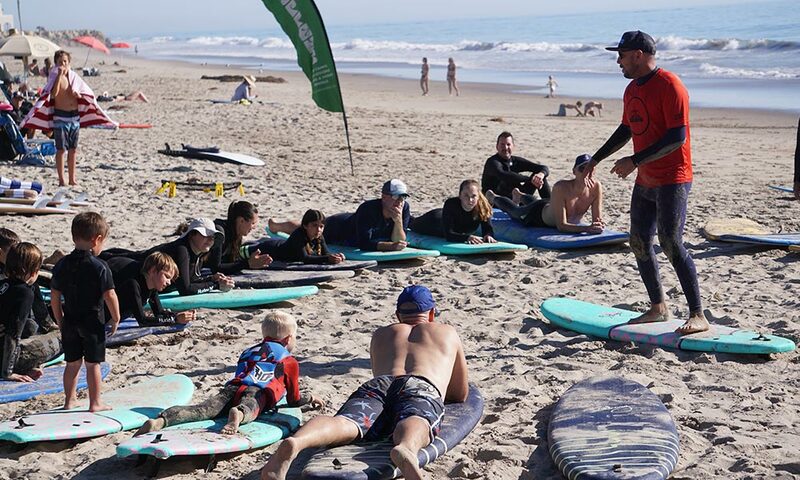 With pride and passion for the sport of surfing, an expert team of instructors, a fleet of comfortable vans, and all the equipment you’ll need, Surf Happens will help you create an unforgettable event. Please contact us to plan your event! It’s Your Party, Let’s Get it Started! 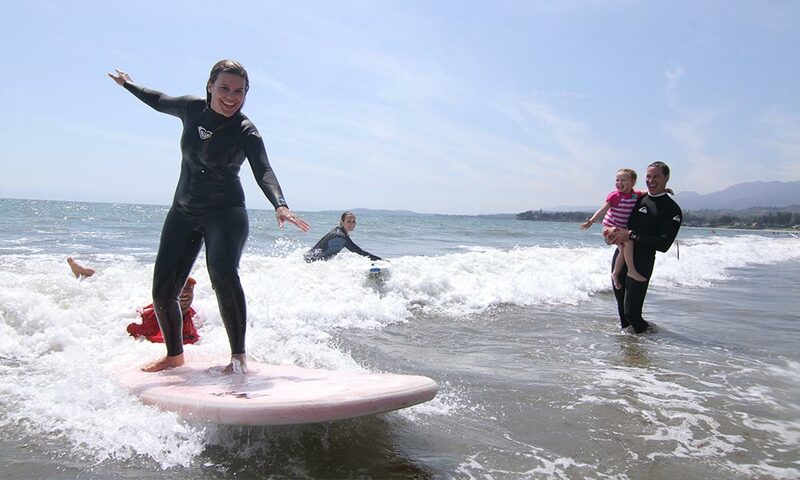 With our fleet of vans and expert instructors, Surf Happens can deliver our services nearly anywhere on the coast! 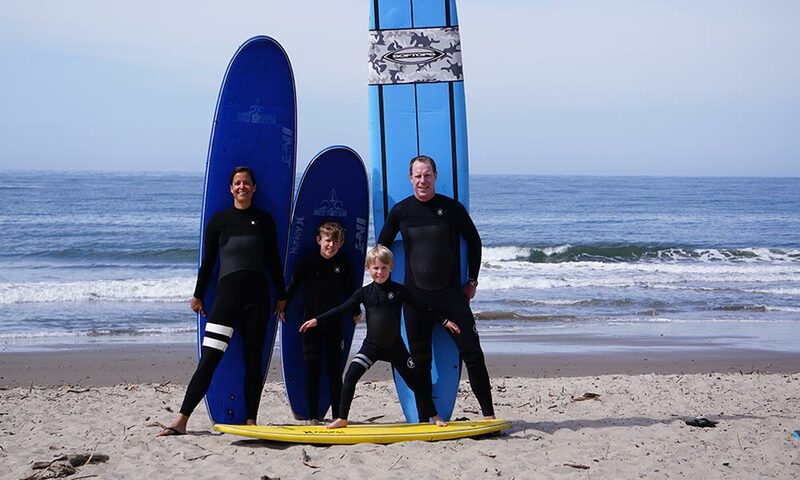 Bring your party or private group to our location at Santa Claus Beach, with its soft sandy beach, predictable waves, and lack of hazards – or head to a spot closer to home. Pick up and drop off can be arranged too. 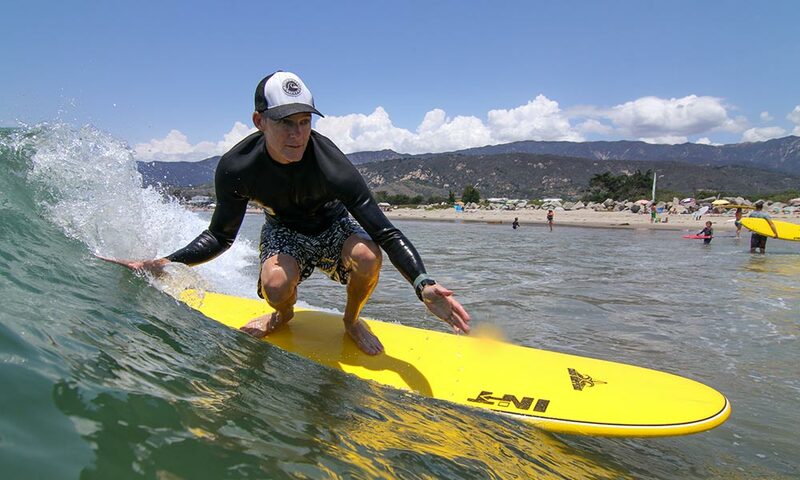 Board and wetsuit rental for each participant, training on the beach and in the water, photos, fun, and 1:2 instructor to student ration for small groups, 1:4 instructor to student ratio for groups of five or more, guaranteed to get everyone stoked and riding a wave. Let’s make your vision happen! Start with our listed options and consider additions including, but not limited to: professional photography, professional company video edited with music, custom t-shirts, Surf Happens hats, stand up paddle board lessons/use, kayaking lessons/use, catered lunch/dinner. Imagine a family reunion spent riding the waves together, the best birthday party ever, a super-stoked graduation celebration, your bridal or bachelor party bonding before the big day, or your sorority, fraternity, or club members experiencing a new level of camaraderie. We work with schools K-12 too! A party planned with Surf Happens ensures that you and your event will shine. Surf Happens vans will take you to the local spots with the day’s best surf. 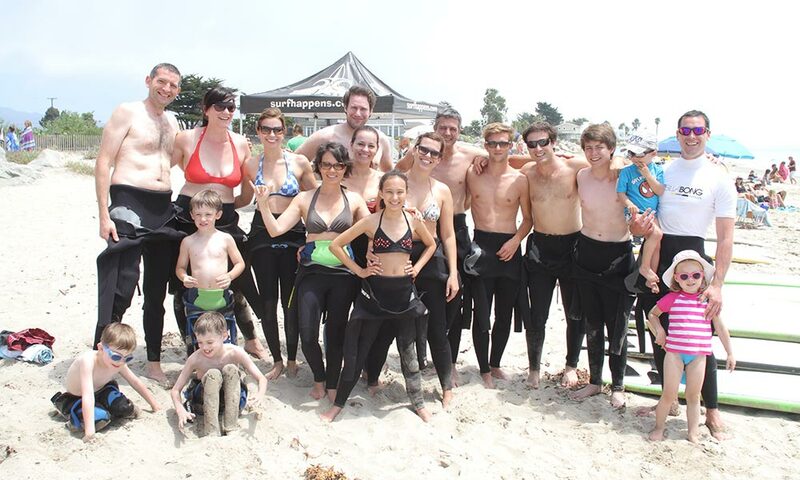 Includes board and wetsuit rental, water, snacks, and two hours instruction.